Watching a French cooking show.the chef prepared the scallops, and naturally kept the big muscle, but then softly boiled the gills, then chopped it up with vegetables. 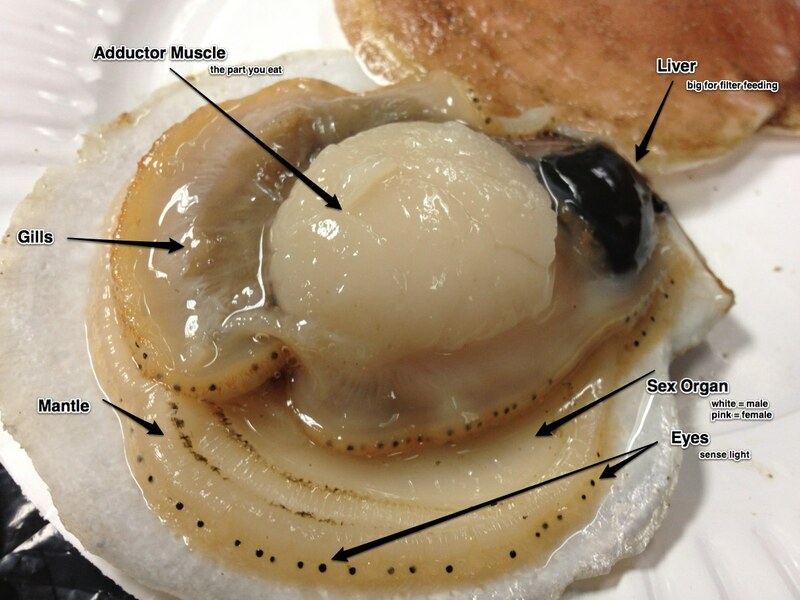 Did a quick Google search and did find similar questions on yahoo.a few people said that they were Asian and they are used to eating the entire scallop. Any ideas for recipes? I am having a hard time finding recipes that use anything more than the abductor muscle and sometimes the coral. I suppose there are a few questionable things, like the gonad and eyes, so I probably won't try eating that.